Now at the bottom left of every map there is a new improved local search box. 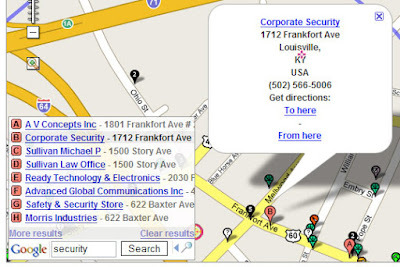 You can type in a term or business name and you will see the closest 10 results directly on the map you are viewing. So if you search for 'security' after doing a crime search, you'd see the nearest companies that can help you out!